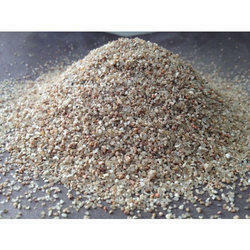 We stand tall as the renowned Exporter and Supplier of Foundry Sand from Gujarat (India). Owing to high permeability & strength of our Foundry Silica Sand, it is extensively used for core and molding application. Talk of price, we are known all over the world for providing the best quality at the most reasonable price. Mined and manufactured to the high standards of U.S. Silica's Quality System Air sized and blended to meet the most demanding foundry specification. With sincerity and hard work of our professionals, we have carved a niche for ourselves in this domain by providing a premium quality gamut of Foundry Sand. Price Range: Rs. 500-800 per metric ton.